AMES, Iowa — When the Iowa State University College of Design opened in fall 1978, the distinctive Brutalist building on the west side of campus became the new home of four departments from different colleges: Architecture (College of Engineering); Art and Design (formerly Applied Art, from what is now the College of Human Sciences); Community and Regional Planning and Landscape Architecture (both from what is now the College of Agriculture and Life Sciences). The premise, and promise, was to provide an environment where these departments could collaborate in teaching, research, scholarship and creative endeavors and provide students with a comprehensive design education. Forty years later, the College of Design has expanded and advanced that promise, becoming a truly comprehensive design institution with seven departments — Architecture, Art and Visual Culture, Community and Regional Planning, Graphic Design, Industrial Design, Interior Design and Landscape Architecture — and increasing opportunities for interdisciplinary collaboration both within and outside the college. Cosponsored by the Iowa State undergraduate interdisciplinary design program, College of Design and ISG + StruXture Architects, the third annual (d)innovation symposium will bring together inter- and multidisciplinary experts who have woven together aspects of design and society in transformative ways. The symposium will include panels and a workshop component of rapid exploratory sessions with a diverse group of guest speakers. Presenters will help participants consider how design and entrepreneurship can be reframed to address complex societal challenges. For a 24-hour period, the College of Design will encourage alumni, faculty, staff and students to consider how they can give back through time, talent and treasure. The day will provide opportunities to engage online via social media and support the college in myriad ways. First-year Core Design Program students in the Design Studies 102 studio this spring are creating wearable art and design projects that incorporate human interaction, explorations of materials and fabrication processes, kinetic behavior and more. About 200 students in teams of four to six people will develop 50 different “Modular Mobile” designs, which will be worn and performed in the first Wearables Design Show, a runway show with a DJ, judges and awards. After the show, attendees can see and learn more about the wearables up close. Anyone with photos of the college, or of college-related activities, is invited to share them on Instagram, Facebook, Twitter and LinkedIn using the hashtag #CODthrowback. Tag the College of Design and friends in the photos. Each April the College of Design celebrates the academic success and extraordinary performance of its students, staff and faculty at Awards Day. This year’s event will be a fitting culmination to Design Week. Updates, including new organizations and activities, will be added online. Make your own seed bomb from seeds, clay and compost and take it with you to plant in a bare, sunny location ideal for pollinator habitat. In this interactive installation, write what issues of identity are important to you and see how your identity(ies) connect with others in literal and figurative ways. A zine (pronounced “zeen”) is a self-published work that usually combines images and text. It is a great way to publish your own art, writing, poems or anything! Join the Graphic Design Social Club as they explain what a zine is and how to make one. Material will be provided, but feel free to bring additional magazines, markers, glue or scissors. How creative can you get with a plain white cup? Using any media, participants participants are challenged to turn a plain white cup into a work of art! Decorate your cup, then be sure to vote for your favorite! How well do you know interior design? Play trivia games using images and space layouts to learn more about what interior designers really do. Screen print a T-shirt with a 40th-anniversary design. Test your Design knowledge and win a prize! How well do you know tree species, leaf arrangement or fruit type? Test your memory in finding matching pairs. Turning two cards over at a time, participants are tasked to make a match; if they don’t match, try again! Bring your own T-shirt, tote bag, etc., or buy a plain white tee on site and select the carved linoleum block(s) you wish to print with to create your own Design Week souvenir! Work by women in the college based on a theme will be displayed. 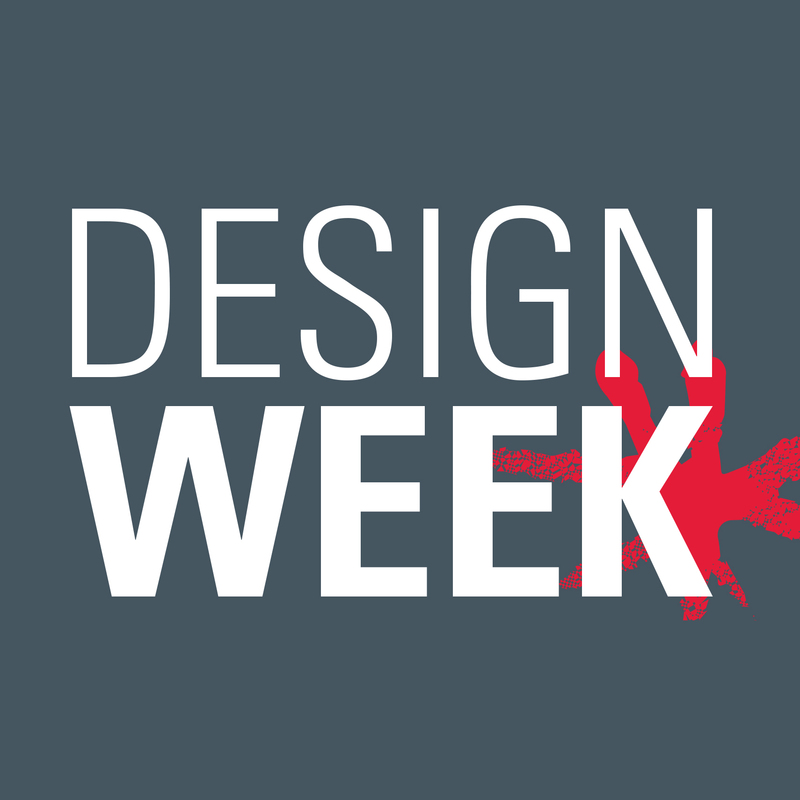 More information about Design Week is available on the Design Week website and the individual event websites. Updates will also be shared on the College of Design’s Facebook and Instagram accounts. Contact Rachel Moylan, College of Design event planner and alumni relations coordinator, (515) 294-5791, with questions. The inaugural Wearables Design Show will feature 50 “Modular Mobile” designs by 200 students in the College of Design’s first-year Core Design Program, performed on a runway with lights, a DJ, judges and awards.